The Chiams were out and about meeting the residents of Bishan, Toa Payoh and Potong Pasir in their usual party fashion over the weekend of 22nd of December to send their Christmas greetings. They were out in force with about twenty party members bringing a message of love and hope to their constituents. 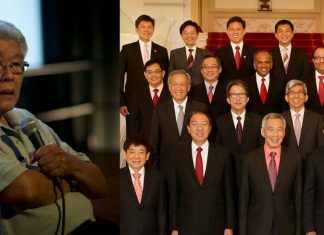 Despite his frail health, Chiam is steadfast with his commitment of keeping the PAP in check. He is determined to expand the space for the opposition movement. However, that will depend on the caliber of new blood into the party ranks and the executive council. Political watchers are keeping an eye on the upcoming party conference in January 2014, where new CEC members are elected.